Overland Park city council members say they were caught off guard when they found out about the latest plans for Galleria 115. 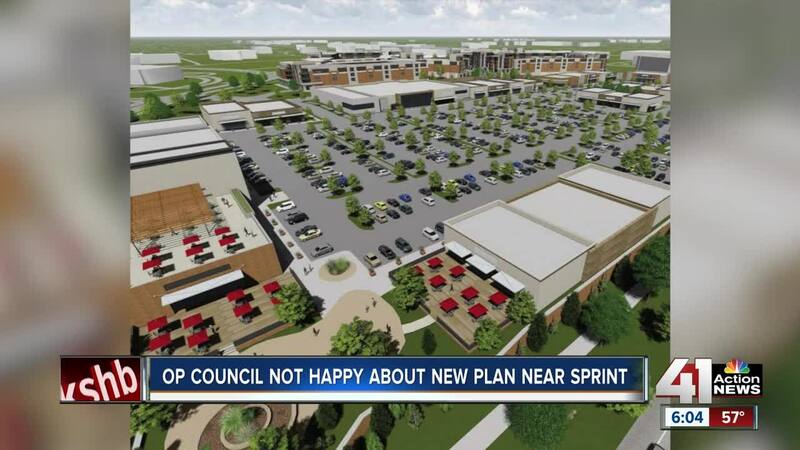 OVERLAND PARK, Kan. -- Overland Park city council members say they were caught off guard when they found out about the latest plans for Galleria 115. Block Real Estate Services purchased the property on the northwest corner of 115th and Nall last week after a legal battle with Sprint. The mixed-use development calls for 548-unit luxury apartments, office space with high end retail and restaurants. But on Monday, some city council members say the plans changed. “It really struck a chord on the council because that isn't what we had envisioned at all,” said Overland Park City Councilman Dave White. One major difference was the addition of drive-thru buildings. “It needs to be a high-end thing, frankly for us we were not looking for Wendy's and Starbucks and stuff like that," said White. "We were wanting something higher end." “I was looking for sit-down restaurants, not necessarily buildings that had drive-thru areas,” echoed Overland Park City Councilman Paul Lyons. The city is looking for more high-end tenants to also help the nearby convention center according to Lyons, with the hope those tenants will help attract larger conventions and give places for visitors to go. “One of the problems with our convention center where it's located is that basically a convention that comes in if they want to do anything at the end of the day, they have to go somewhere else and you have to get in a car and do that,” said Lyons. Taxpayers have skin in the game too. Last year, the city implemented a 1 percent sales tax to help the developers transform the property. Lyons said he wants this development to be a win-win for both the developers and the city. “It's a private-public partnership so we are in the deal too, we want certain things to occur there," he said. Council members are hopeful the developers will make the necessary changes before the plans come back to their desks. "We're convinced that it's needed in order to make this a successful project," said White. Block Real Estate Services did not return 41 Action New’s attempts for a comment. The proposal was sent back to the planning commission where commissioners will discuss the matter in November.